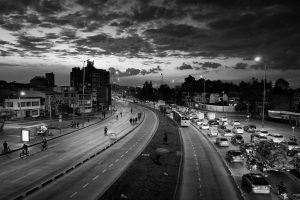 Every Sunday, the traffic-jammed, stressed-out citizens of Bogotá, Colombia get a day of rest, free from honking horns, sitting at red lights and engine fumes. For the last 14 years, the city’s leaders have banned all motorized vehicles in the city limits from 7 a.m. to 2 p.m. and over time, it has turned into a day of relaxation and celebration. Originating as an environmentalist experiment, it a respite from the stress of modern life, cherished by the 1.5 million Bogotanos who come out for the festivities at the end of each week. 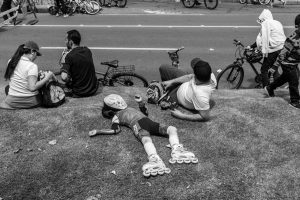 “All kinds of transportation are welcome—bicycles, roller skates, scooters, wheelchairs, skateboards—as long as they are not motor-driven,” reports Alma Guillermoprieto for National Geographic. The event is called Ciclovía, or Bicycle Way, and the idea is spreading worldwide to cities in Europe, China and New Zealand. 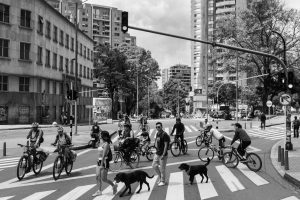 Ciclovía is about more than just cycling. It’s about slowing down and building community. And there’s lot’s to do besides riding or rollerblading, including walking, running, dancing, Zumba and even tai chi. Or, you can grab some of the best street grub the world has to offer and sit back and relax. People watch. Listen to a live salsa band. 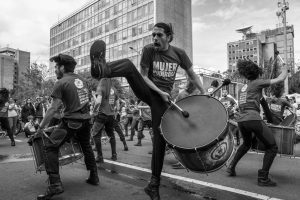 “The most important thing is the social fabric that gets woven at Ciclovía,” Bibiana Sarmiento tells National Geographic. 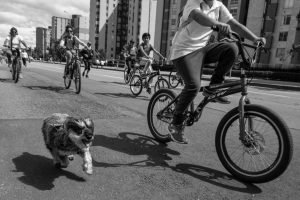 Sarmiento started out as a skater and guardián for Ciclovía and now runs the whole program. 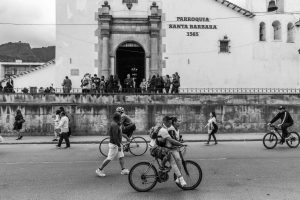 In a war-torn and socially stratified country like Colombia, one of the things Sarmiento loves about the program is its ability to bring people together and ease tension. “No one cares about the clothes you’re wearing or what social class you’re from: everyone is welcome, and everyone is equal,” she said.